While most people are passing by in search of the ‘Big Five’, I love spending hours looking at baboon families, there is always something happening, never a dull moment. 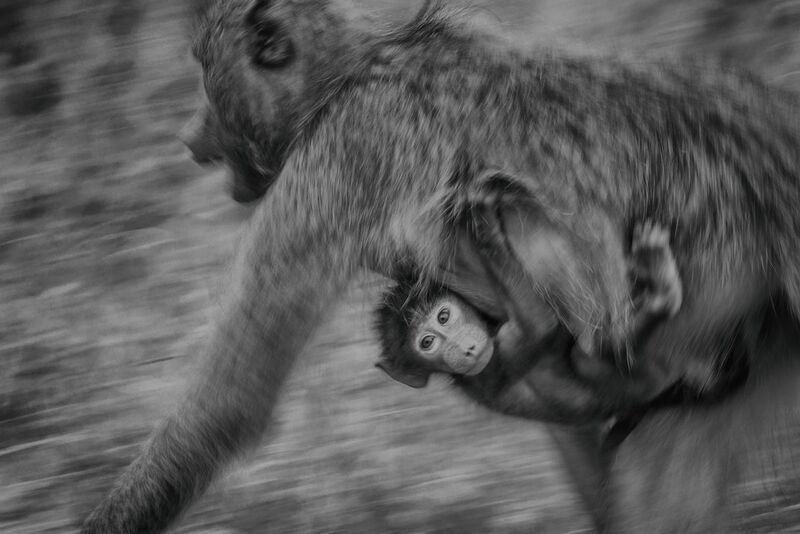 This little baby did hold on very tightly to his mother who was moving quite fast. Date Uploaded: Nov. 11, 2017, 8:30 p.m.